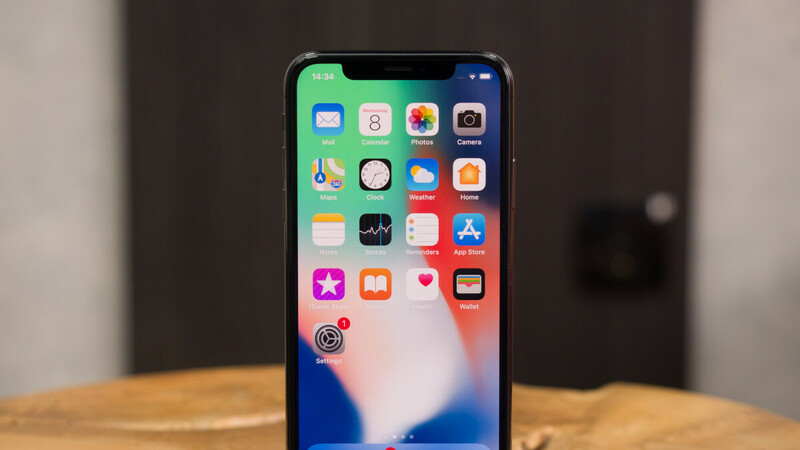 The best selling phone in the world in the first quarter of 2018 was... the Apple iPhone X. And then the second best-selling phone was the iPhone 8, third was the iPhone 8 Plus and at number four was the iPhone 7. The data comes from research firm Strategy Analytics and falls in line with an announcement that Apple made in the beginning of the week that the iPhone X was its best selling phone for every week of the quarter. At number five on this list of world's best selling phones was the Xiaomi Redmi 5A, one of the world's cheapest phones, carrying on official price tag of under $90 and sold mostly in China and India. This marks a stark contrast in price: the best-selling iPhones listed above sell for hundreds of dollars, while the most popular Android phone in the world is an ultra cheap device. What is particularly striking about this data is just how big of a lead the iPhones have over individual Android models. The world's best selling high-end Android phone, according to this ranking, was the Samsung Galaxy S9 Plus. Still, this is an excellent start for both the Galaxy S9 and the S9 Plus: the phones went on sale late in the quarter, but they are already off to a great start. Expectations are that the S9 Plus will become the best-selling Android phone globally in the next quarter. Interestingly, Apple manages to continue growing its sales despite a shrinking smartphone market. Smartphone sales have been slowing down in the past few years, but in Q1 2018 sales actually declined by 2.4% compared to the same period last year. Strategy Analytics estimated that 345.4 million smartphones were sold in the first quarter of the year. The top four iPhones accounted for 42.4 million of them, or 12.3% (keep in mind that Apple is also selling significant numbers of older iPhones that are not included in this ranking). No surprise here. Currently the best phone on the market, and it seems the world agrees with that. You can't really be this dense. The S9+ was out for only 2 weeks during this 3-month period. Cut that bulls**t, iPhone 6 sold 10 million in 3 days, 6s sold 13 million in 3 days, 7 sold 17 million in 3 days lmao tf you're talking about? You call it bull, but my post is completely true. What's irrelevant is you mentioning first week sales for phones that have nothing to do with this article. You said Samsung sold 5.3m S9+ in less than two weeks, I say Apple sells more than that in 3 days, how's that not relevant? The S8, S8+ and Note 8 were the 3 flagship Samsung phones that were available for the full quarter. It's interesting that none of those devices feature on this list, yet Apple's iPhone 7 from 2016 is 4th. It's pretty terrible for Samsung that their year old flagships can't even compete with Apple's 18 month old flagship. This is argument is old. Samsung sells phones for all ranges. Everyone knows Samsung's flagships don't sell as much as Apple's. That is obvious. Samsung still sells more phones overall than Apple. But which one of Samsung phones is better than the iPhone X, and why is it not the best selling phone in the world? You're better than the argument of "x sells more than y, therefore it must be better". I don't even have to get into why that's ridiculous. Right, so what metric should we use to determine which is the best smartphone in the world, if not which sells the most (because clearly people want to buy bad smartphones)? Why is it necessary to award that title? Clearly everyone has different needs & what is the best to you might not be the best to me or anyone else. Do you need validation of your choice to make you feel better? Remember the time a couple years ago when the iPhone captured 10,000,000 preorders in just 3 days? (preorders that you have to pay for in order to preorder). Don't be so defensive - Samsung is doing their best! Shows how clueless you are. You pay around 10% of the item when you preorder it. And in the US, thanks to the carriers, you buy your phone and pay for it in 24/36 installments, and we all know what's the most popular phone in the US. I'm not saying it won't be the best seller if there wasn't such deals from the carriers, but I bet the margin would be this huge. Clueless? When you preorder, you pay in full through Apples website (where most of the sales were made) lmao. Educate yourself. How am I being defensive? I literally stated a fact. Samsung is riding on the Apple horse at the moment, but not for long. Samsung is a failure. If selling the most phones in the world & making more money than every company in the business aside from Apple is a failure then I guess you're right. 2 month what now so. I’m not against Samsung, but truth that iPhone outsold all android flagship even the carrpy iPhone 5c outsold galaxy S4. The S9 was released in the final month of the quarter. Don't worry! The S9 will sell outstandingly well next quarter, under the iPhone X, iPhone 8, and iPhone 7 still. Kardashian style marketing wins everytime. Cheers to the gullible. I for one need a capable phone not a teenagers toy. Didn't Samsung copy that toy feature and named it ARemoji? You must be a "serious" power user, huh? No iToy for me. I use a real phone. My phone doesn't need advertising it's so good. I'm not some kiddie - I have big hands and need big screens. Bwahahahaha...SMH. Just be happy with what you have. Some say it was a total and complete FAILURE. Some say it was a complete SUCCESS. Some say it was a moderate FAILURE. Some say it was a moderate SUCCESS. Now, which statement should one believe? I think we will never know for sure! But... I've seen just TWO iPhone X in public since its launch. But... I haven't seen a single iPhone 8 in the same time period. But... The iPhone 8 is hard to distinguish from its older siblings, right? Oh well, I give up... G'Day! Breaking News: Disappointment can be seen on sgodsell and SIGPRO's faces. Let's see; the last few months have been full of articles about how production is down, no one is buying this phone, Apple is killing the X, etc. Then Tim Cook says "best selling phone evar! ", and now articles are saying "iPhone X is most popular phone!!!" It was very clear for the whole time that X is best selling phone in the world and going to be until next iPhone model comes.